A few days ago, Rowdy Cricket had reported that Inzamam Ul-Haq castrated a local goat in Multan, named Qutubuddin. Now, there is a large population of goats in the Peshawar-Multan area who are extremely angry at the way Qutubuddin’s nuts were cracked open with a butcher knife by Inzamam. Goats in Peshawar participate in Peace Rally to protest against Inzamam and his atrocious act of castrating goat Qutubuddin from Multan. The goats want justice for their fallen brother Qutubuddin, who may not be a brother anymore, coz you know, he got castrated. Qutubuddin the goat is being missed by his cousins, family and friends. The entire Mutton community has come together to mourn the loss of their dear friend, local goat Qutubuddin. Inzamam, oblivious to the fact that somewhere Qutubuddin’s scrotum is being digested by his bodily enzymes is selecting the team for Pakistan’s next cricket match against the West Indies. 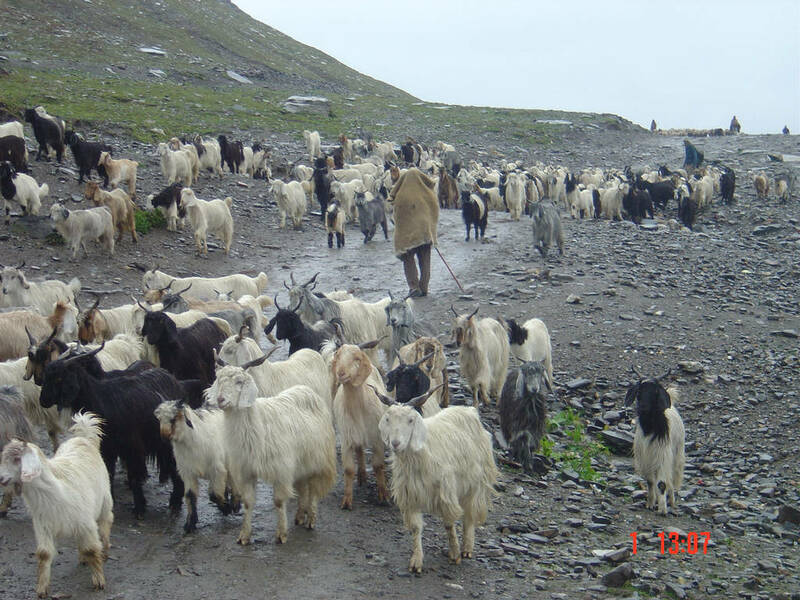 The Goats of Pakistan are participating in rallies and Peace protests all around Pakistan to bring justice to Qutubuddin and punish Inzamam Ul-Haq the nutcracker. “His catastrophic castration is a sign of worry in the goat community. We want to serve humanity by featuring in their kebabs and Biryanis, but we do it on our own terms. Nobody, should be able to castrate one of our brothers out in the open”, says Maqbool Ahmed a distant cousin of local goat Qutubuddin. Maqbool and his family have declined their consent for being butchered to make Biryani. As a result, Biryani-wallahs all around Pakistan have been deeply affected, both financially and emotionally. Many Biryani makers have offered support to the goats to carry out nation-wide protests and rally against Inzamam Ul-Haq. Some Biryani wala’s have insisted Inzamam be sent to Jail. “He owes a lot of money to us. He hasn’t paid for the last 51 orders of Biryani that he ordered from us. I am all for the goats and their protest.” says Ahmed bhai Biryani wala. On the other hand, there are Butchers and Kasai from Qasai mohalla in Rawalpindi who are also against Inzamam in this situation. “Agar Inzi bhai khud gote kaatne lagenge to hum kya karengay? Humara to dhanda down ho gaya hai. Inshallah Inzi bhai ko saza honi hi chahiye” says Haneef Mohammad, ex-cricketer and now a chai-wala + Butcher at Qasai Mohalla. Imran Khan, Rashid Latif, Ramiz Raja and several others have offered condolences on the death of Qutubuddin, the local goat. While Amir Sohail, Wasim Akram and Shahid Afridi have lent their support for Inzamam. “Anyone who wants to eat a goat’s testicles should be allowed to do so, why do we care about a local goat from Multan. These goats should be slaughtered. I think the goats have been payed by Indian Prime Minister Narendra Modi to disrupt Pakistan’s peace.” said Aamer Sohail, supporting his fat friend Inzamam Ul-Haq. Where do you stand? Do you support the goats’ protest against Inzamam? Comment with a Baaaaaa to show your support. Or comment with a ‘Burp’ to show support for Inzi bhai.